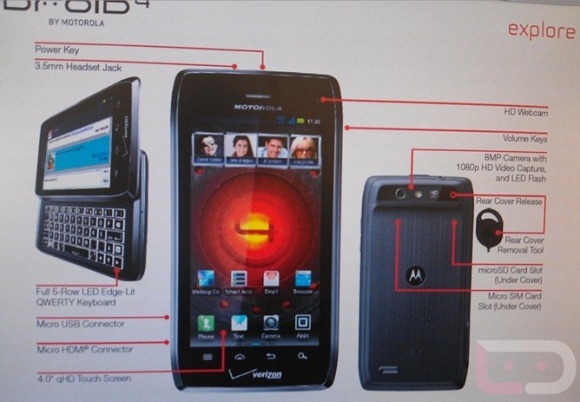 aLast month we reported that Motorola is already working on the Droid 4 and we even found leaked pictures of the device that looked like a Droid RAZR slapped in with a full 5-row QWERTY keyboard. There has been some more development and according to an internal Verizon document which got into the hands of the DroidLife team says that the previous rumours were correct. So what about the Droid 3? It was just launched, and already it seems that it is going to be overshadowed by the new RAZR looking Droid 4.